My last class of the day with 10th C (the Professional Course of Restaurant Service) gave me a reason to smile! 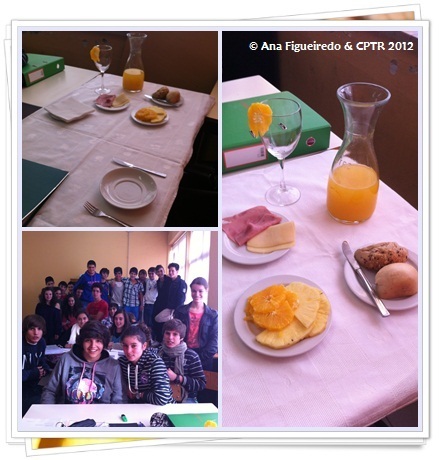 My Students had been working the whole morning, preparing the perfect continental breakfast. By the end of the afternoon, they surprised me with a special version of that continental breakfast that almost tasted like a "5 o'clock tea"! ;-) I really enjoyed your effort and your hard work: THANK YOU! You have read this article pedagogical continental breakfast / Students with the title A Continental Breakfast by 10th C. You can bookmark this page URL http://catolink4.blogspot.com/2012/10/a-continental-breakfast-by-10th-c.html. Thanks! No comment for "A Continental Breakfast by 10th C"